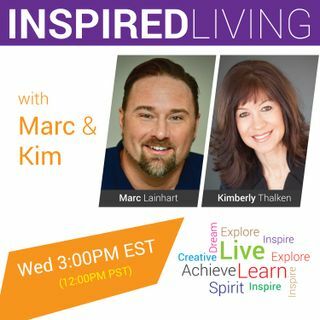 Each week on Inspired Living, Marc Lainhart and Kimberly Thalken will discuss different paths to achieving a more spiritual, balanced, happy and healthy lifestyle. Topics will elevate consciousness and range from metaphysics to the human and social experience and all things spiritual. Welcome to an “Inspired” community that offers support, ... See More encouragement, and new ways of thinking. Marc and Kim are tested, certified, and professional spiritual-mediums, metaphysical teachers, healers, and spiritual advisors with their own individual spiritual practices in Seattle, Washington and Los Angeles, California.